If you wait long enough you have a good chance that some unusual cloud formation will occur in the Yosemite Valley. 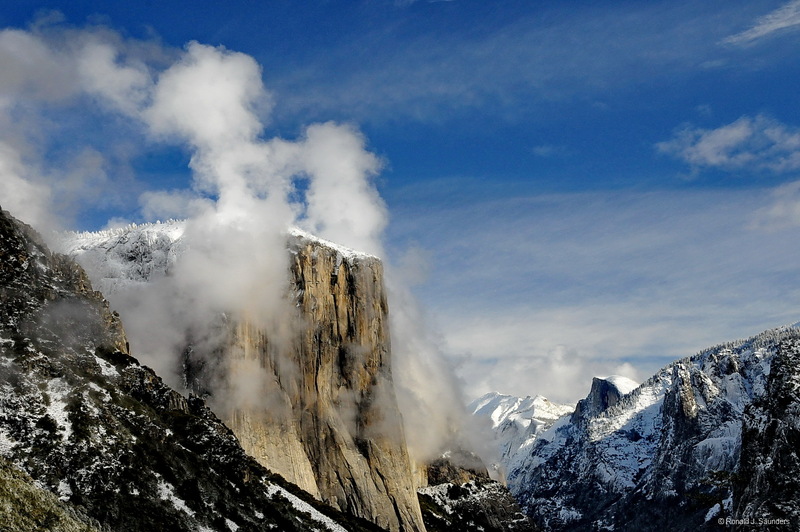 Here, two horn-like clouds appeared on each side of El Capitan. Photo © copyright by Ronald J. Saunders.